On Saturday, April 3, from 1:00 – 2:30 p.m., the Visitor Interpretive Center at Newcomb will host a Family Bluebird Nest Box Workshop. This will be an opportunity to learn about bluebirds, their lifestyles and their habitat. Bluebirds can be found in the Adirondacks and are attracted by some open grassland such as a yard and a nest box or two. Participants will learn about bluebirds, how to make your yard “bluebird friendly” and join with VIC staff to build a nest box. Nest box kits are available to purchase for $10.00 each. 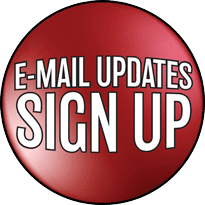 Pre-registration is required by Thursday, April 1st. 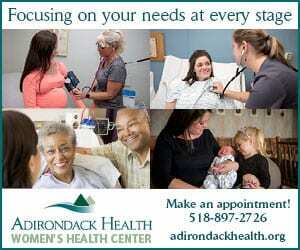 For information and to register call the Newcomb VIC at 518-582-2000. The Newcomb VIC is located on NYS Route 28N just west of the Hamlet of Newcomb, Essex County. 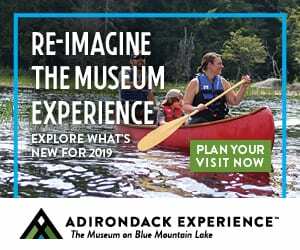 The Adirondack Park Agency operates two Visitor Interpretive Centers at Newcomb and Paul Smiths. 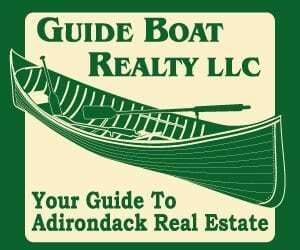 The mission of the Agency, which is headquartered in Ray Brook, is to protect the public and private resources of the Adirondack Park through the exercise of powers and duties as provided by law. 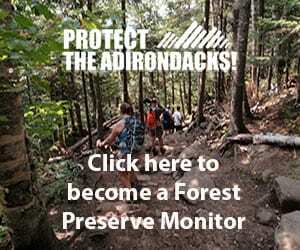 For more information on the Adirondack Park Agency, call (518) 891-4050 or visit www.apa.state.ny.us. According to my friend Edna, black fly season has begun. Edna is one of the fine folks who participate in our local Bti Program, and it is through the efforts of her team, and other Bti teams around the Park, that our black fly populations are greatly reduced. A couple weeks ago I stopped to talk to Edna as she was roping off the muddier parts of her driveway. I wanted to give her photographs of our “new” beaver pond because the Little Sucker Brook, which is now Little Sucker Pond, is one of her treatment sites. She told me she hadn’t been in there yet, but the test sites she had visited were still full of larvae in suspended animation – it was too soon to treat. » Continue Reading. The round of sixteen match-ups continue. 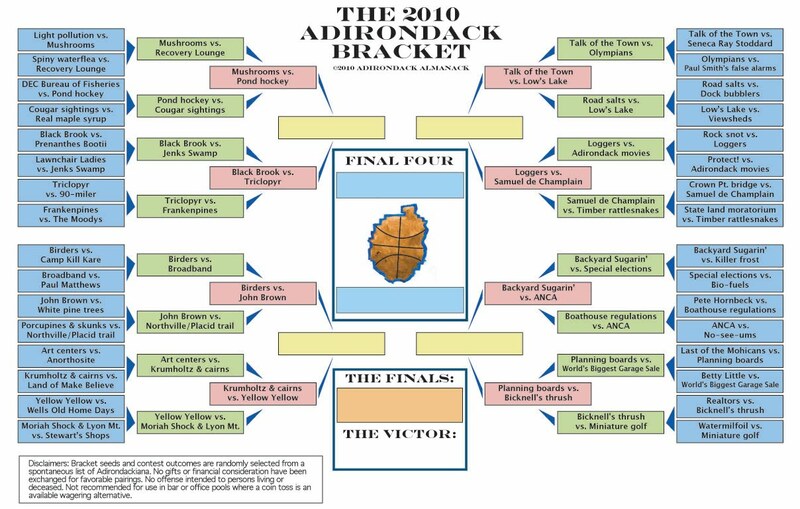 The upper right division of the Bracket saw a stunning upset of our Adirondack Olympians by the opinionated crew from WNBZ radio’s Talk of the Town. No doubt threatened cuts to the Olympic Regional Development Authority annual budget from the New York State Senate rattled the concentration of the younger, more athletically inclined, better-dressed, more polite, and far less gloomy team. Way to go, talkers, you move on to face Low’s Lake, an issue you have often argued into submission. Low’s Lake bested road salts, a perennial threat to the health and beauty of our waterways through the excessive application of State DOT crews and local plow fleets. Loggers left Adirondack movies (a squad with a storied past and promising future, and here) on the cutting room floor. Loggers now face the sole surviving 2009 final four contestant Samuel de Champlain, who made short work of timber rattlesnakes to advance. In the lower right regionals, the return of sub-freezing temperatures has extended the run for Backyard Sugarin’ (a former regional magazine editor insists that the title of this useful how-to guide sounds dirty). They brought a premature end to the impressive run of special congressional elections in Adirondack Districts which stemmed from President Obama’s nominations of Hillary Clinton and John McHugh to federal posts. It is worth noting that the third and last special election will be held this November, as Senator Kirsten Gillibrand officially defends her appointment. Backyard Sugarin’ now confronts ANCA, one of the least identifiable acronyms within the Blue Line (Adirondackers Need Clearer Acronyms!). ANCA has made an impressive show under rookie coach Kate Fish. 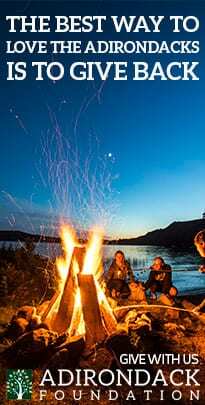 Established in 1953 to promote community, cultural and commercial development within the park, the organization, known as the Adirondack Park Association changed its name in 1983 after a dozen years of exchanging misaddressed mail with the Adirondack Park Agency and the Association to Protect the Adirondacks. They defeated the APA’s proposed boathouse regulations. Planning boards—who most recently lost rookie talent when the northern Adirondack Town of Franklin abolished its newly formed board—made it past another 2009 final four contender, Warrensburg’s World’s Biggest Garage Sale. They now face the most enduring summer residents: Bicknell’s thrush (who are looking to a possible final four match with birders). This should be interesting, as the planning boards might have something to say about these little critters’ habit of building summer homes at high elevations. 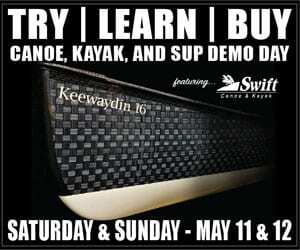 This week I think of the most intriguing show looks to be in Raquette Lake. 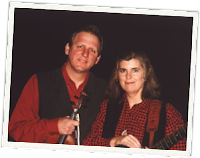 Check out this nifty video of Trish Miller clogging and John Kirk playing the tune, Irishtown Breakdown on the fiddle. I also want to call some attention to The Adirondack Bluegrass League. They have a very thorough calendar listing events held all over the park and beyond. 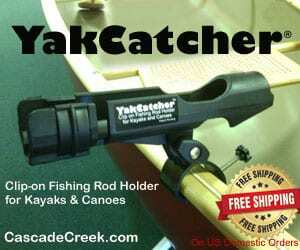 In North Creek, Diz at Trapper’s Cabin . He starts at 7 and plays until 10 pm. In Canton, The Hazel Pearl Band is playing the Blackbird Cafe. The band plays from 7 – 9 pm. In Plattsburgh, Professor Chaos at Gilligan’s Getaway an all ages show starts at 8 pm. In Potsdam, Hamlet: The Met Opera Live in HD. At the Roxy Theater starting at 1 pm. In Lake Placid, Hamlet:The Met Opera Live in HD. At LPCA starting at 1 pm. Tickets are $18 for adults and $15 for seniors and students. Running time is 3 hours and 45 minutes with intermissions. 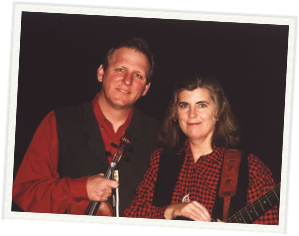 In Raquette Lake, Trish Miller and John Kirk will perform from 7:30 – 9:30 pm at The Raquette Lake School on Route 28. Tickets are $12. In North Creek, The Noodlemen at Laura’s Tavern start at 9 pm. I looked around online for these guys and I think I found them but there is no way to prove it so I won’t include the link because what if there are other Noodlemen out there and I’d be steering you wrong. In Potsdam, The Orchestra of Northern New York presents “Carnival of the Animals”. the concert is from 7 – 9 pm at SUNY’s Helen Hosmer Concert Hall and features creatures created by Camille Saint-Saens and Dr Seuss. In Canton, Sweet Adelins St. Lawrence Chorus’s annual barbershop performance. The 7 pm concert is being held at the Canton High School. In Queensbury, The last Saturday of the month Coffee House Open Mic at the UU Church is held from 7:30 – 10 pm. A donation of $4 includes light refreshments. In Saranac Lake, The Back Porch Society will perform at the Waterhole Upstairs Music Lounge starting around 9 pm. Cover of $5. In Potsdam, Hamlet: The Met Opera Live in HD Encore Perfromance, at the Roxy Theater starting at 1 pm. In Hadley, The Siver Family in conjunction with The Adirondack Bluegrass League will perform from 2 -3 pm. In Saranac Lake, The Adirondack Singers will rehearse for their annual Spring Concert. New members are encouraged. For more information contact Val at 523-4213. 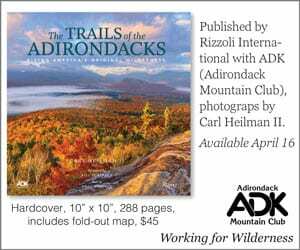 On any given spring day here in the Adirondacks you are bound to hear an American robin calling from a treetop or front lawn. And then you ask, when did they get here? Later that day as you are paddling along the shoreline of a quiet lake you see an osprey circling overhead as it hunts for fish. Again you ask, When did they arrive? Do these birds all arrive at once or is there some sort of bird-migration-schedule that our feathered friends use on their northward journeys? A simple answer is yes, they do arrive on somewhat regular schedules. But as with all things in the world of biology, it is not that simple. Let’s look at the big picture first. We know that birds arrive in the spring and we can kinda guess-within a week to 10 day margin-when they might arrive. Someone once told me that our Adirondack hummingbirds arrive within a week, either side, of Mother’s Day. That’s true. Our summer visiting common loons are usually on lakes and ponds just at or near complete ice out. Come to think of it that’s pretty easy for a loon to determine as they fly 500-1000ft in the air getting a loons-eye view of what lakes are open. But looking at the nuts and bolts of migration we see there are many biological signals that kick these birds into migration mode. Deep within birds there are biochemicals, testosterone and estrogen, surging through veins and into cells. This in turn signals other processes to begin: reproductive parts start to increase in size; increasing day length signals readiness for migration; and there is a general restlessness that birds exhibit as they begin orienting their movements towards north or south, depending on the season. 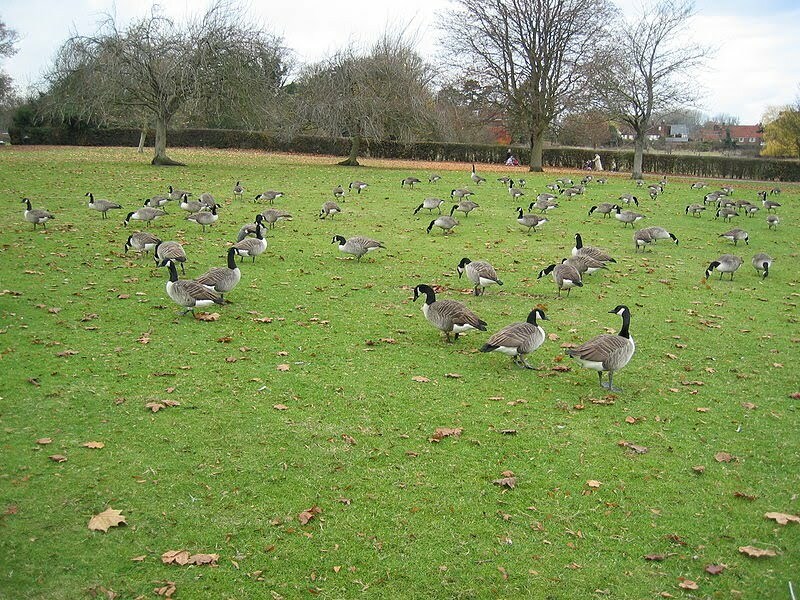 As all this occurs, birds then get an uncontrollable urge to eat and fatten up as a result. This is good because the fat is the fuel for long distance migration. But back to the main point-are birds on a schedule? 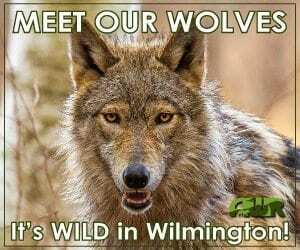 One way to answer this is to look at the “waves” of different species that arrive in our woods, fields, or wetlands. 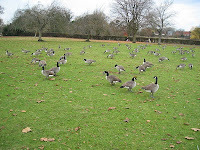 As March began we noticed bunches of Canada geese, and snow geese in flight far overhead. A week later we take note of our first red-winged blackbird down by the swamp or cat-tail marsh. About 2 days later the common grackles find their way into the fields and call to announce their arrival. Cardinals, brown creepers, and golden-crowned kinglets begin singing their songs for the early riser. As I write this blog near the end of March we find the arrivals of song sparrows and fox sparrow to the neighborhood. My guess is that next week will bring tree swallows, northern flickers and white-throated sparrows. April is when the migratory birds really make their presence known across the Adirondacks. Belted kingfishers will be seen along the shorelines of ponds, American kestrels(small falcons) will be hunting for the first crickets from telephone poles and wires. Great blue herons will be fishing among the grasses of the beaver swamps, and eastern phoebes will be scolding us from the roofs of backyard sheds. Think of bird migration as a large conveyor belt cycling though the spring months and dropping off species of birds at timed intervals. But keep a sharp eye about you because the bird scene changes daily and then weekly. Personally I’m looking forward to late April when the wild flowers have poked through the dead leaves and the sounds of the first warblers fill the woods and finally reach my winter-weary ears. 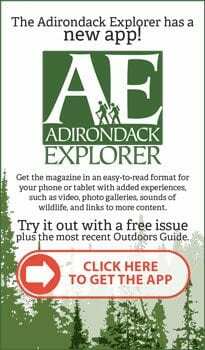 On Sunday, March 28, Ed Reed, a wildlife biologist with the New York State Department of Environmental Conservation Region 5 office in Ray Brook, will offer a program entitled “Moose on the Loose in the Adirondacks” at the Adirondack Museum at Blue Mountain Lake, as part of the Cabin Fever Sunday series. Following are details from a museum press release: Reed will review the history, current status, and future of moose in New York State. Moose were native to New York, but were extirpated before 1900. 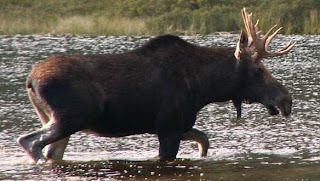 The expansion of moose from Maine and Canada across New England reached the state in the 1980’s, and the population is now well established and self-sustaining. » Continue Reading. I have come to the conclusion over the years that collecting things is a very human trait. I suspect this harkens back to our prehistoric selves, whose days were filled with collecting, be it foodstuffs for later consumption or burnables for the evening’s fire. With the advent of the corner market and central heating, most of us (at least in this country) no longer have “real needs” that are fulfilled by the urge to collect. As a result, we turn our craving for collectibles to other things, which in my case includes books and sand. Collecting objects from the outdoors is therefore a natural habit. Who among us as a child didn’t come home with pockets full of rocks, or pluck a few flowers to present to Mom? Even as adults we eagerly pick up nature’s little treasures when they come our way. 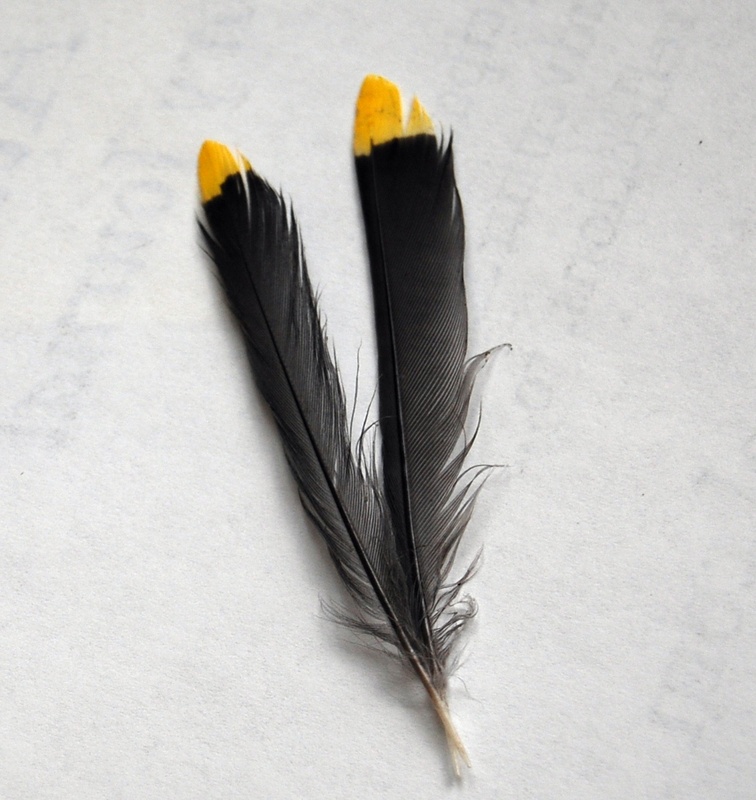 Two of the more commonly collected items are feathers and nests. » Continue Reading. 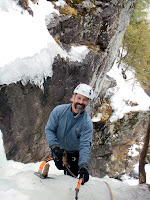 A few days after we had climbed the Chiller Pillar, a one-pitch ice route near Whiteface Mountain, my ice-climbing partner Steve Goldstein of Latham called me up. “If I had seen this article in Rock and Ice, I might not have led that route,” he told me. It’s easy to ponder the transitory nature of ice when you’re climbing it. Rock-climbing routes rarely change. You can climb a face once, come back ten years later and the holds will still be the same. In fact, a critical hold breaking off a popular route often makes news in climbing circles. Ice routes change not only year to year but week to week. In fact, ice can change even as you’re on it, turning softer and wetter from the sun. And it’s quite common for large pieces of ice to fall off as you ascend, hacking and skewering your way up the face. 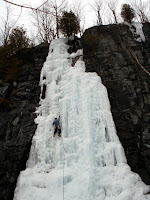 Ice climbing is surely more dangerous than rock, and never more than when the temperature goes up. In February, 2002 a climber was killed at Pok-O-Moonshine while climbing the Adirondack classic testpiece Positive Thinking. The route detached from the wall when the climber about a hundred feet off the ground. As the weather warms, ice routes disappear. At this point, there’s only a few routes left – thick, protected from sunshine and at higher elevations, according to Rock and River’s climbing site. We climbed at Pitchoff Mountain’s North Face last Saturday, in fact, and Central Pillar was in fine condition, albeit soaking wet. Warm-weather ice climbing has its advantages. Pick placements are easy to make in the soft ice, and you don’t risk frostbite while belaying. On the down side, you get sponge-wet gloves from dripping routes. And routes tend to disappear quickly. Yet with an end to the season well in sight, it’s hard to say no to one more trip. Which brings me back to Steve and the article he saw in Rock and Ice, a popular climbing magazine. The article told of a severe injury on The Fang, a freestanding pillar of ice near Vail, Co. A climber, who had spent 15 years preparing to ascend this Rocky Mountain jewel, fell a hundred feet when the six-foot-wide ice formation collapsed beneath him. It was a dangerous route, but very different from Chiller Pillar. Still, it was just as well Steve hadn’t read the story yet. And we approached our route with caution. The Pillar had a strange look to it – more like white frosting than blue water ice. And there was a horizontal crack only a few feet from the top, which meant the climb had settled at some point, detaching from the final few feet. Yet is was a cool day, with no sunshine to cause undue melting. The route was thick, and tapered from the bottom to the top. The wall around it looked dry, and the ice itself held the test-screws we placed at the base. “You can top-rope it,” I told Steve. That meant we could scramble up an easier way and set up a rope on the top, which would hold him in case the ice collapsed. “I should be OK,” he said, and began to tie into the rope to prepare to lead. Safe ice climbing is about knowing the conditions, and making judgment calls. At the end of the day, though, there’s a bit of faith involved. You believe you are strong enough to climb to the top, and you believe the ice is strong enough to hold you up. In this case, both climber and ice rose to the occasion. But I stood far back from the route as I belayed him. Just in case. 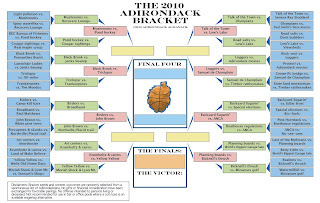 Adirondack Bracket fans, welcome to the Benzene-Toluene-Ephedrine-Iodine-Phenylpropanolamine-Crystal methamphetamine-Sweet-Sixteen. The field is narrowing and the narrative is coming into focus. Chris Kowanko, the Renderer bros. and the whole crowd at Upper Jay Upholstery and Furniture —home to the Recovery Lounge—got the stuffing knocked out of them by a handful of bad mushrooms. They could have benefitted from a class in basic mycology. The mushrooms now face pond hockey, which put those cougar sightings on ice, and is said to be making a real comeback (beats waiting for the peewees to clear out of the rink). UPDATE: Black Brook now faces an equally potent wetlands menace in Triclopyr. This APA-sanctioned herbicide will be applied to Eurasian watermilfoil beds in Lake Luzerne. The public has been assured that this chemical will not harm grasses in areas where the lake water is used for irrigation. Studies have yet to be conducted, however, on its effect on municipal commitment to preventing invasive species from entering our lakes in the first place. One thing is for certain, however, in the Adirondack Bracket, it proved toxic to frankenpines. Strong stuff. The lower left regionals witnessed an upset in the contest between birders and—the latest salvation of struggling hamlet economies and declining school populations—broadband. The unexpected outcome of this mismatch between fast and powerful telecommunications and what by any measure must be considered a rag-tag (though incredibly patient) bunch, turned on a simple miscommunication. The birders turned out in vast numbers, flocking to the Bloomingdale Bog, expecting to catch a rare glimpse of the broadbanded boobyhatch. Their tweets alone crashed the fledgling broadband network. Birdiers go on to face the very ostrich-like John Brown. The martyr of Harper’s Ferry, perhaps boosted by a New York Senate reprieve on the possible closure of his Historic State Park, took 2009 Final Four contender Northville-Placid Trail in stride on his way home to the Plains of Abraham. The second match-up in this region features the enduring pate-fluff of the Adirondack high peaks, Krumholtz and Cairns (not to be confused with the legal firm, Crumhorn and Korn) who were just too much for some of this area’s art centers to surmount. They will face the legendary Yellow-Yellow, vanquisher of bear-proof canisters, and most recently of Moriah Shock and Lyon Mountain correctional facilities. In fairness to Moriah Shock and Lyon Mountain, they were both put on New York State Senate’s endangered species list before being devoured. This year Lake George Opera’s Opera-To-Go is performing another adaptation by John Davies of Opera Tales. Davies, a bass-baritone has performed with a variety of opera companies such as Metropolitan Opera, San Francisco and Philadelphia as well as many others. Then in the 1990s, as a means to entertain his own children, Davies hit on a combination that worked. He merged classic fairy tales with classic music in a way to engage and entertain children of all ages. Each Davies children’s opera takes recognizable tunes and pairs them to a story with a lesson, similar to the classic Bugs Bunny cartoon that showcased The Barber of Seville. In this performance one little pig goes to the library as she researches how to build a house. The Three Little Pigs converges with Mozart’s Don Giovanni as the wolf pretends to be a statue and ends up being invited for dinner with a second little pig and trouble commences. For Liz Giblin, Director of Marketing for the Lake George Opera, Davies’ children’s operas not only take classic operatic ideas and themes but have a strong educational element to them as well. Each year the company performs for schools throughout upstate New York, the Adirondacks and western New England as well as a series of free performances for families. 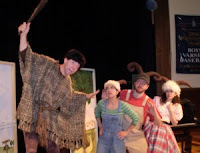 The 45-minute opera of The Three Little Pigs will be held at the Charles R. Wood Theatre in Glens Falls free of charge at 1:00 p.m. on March 27. According to Executive Director Bill Woodward seating for the operatic performance at the Wood Theatre is on a first-come, first-serve basis. The 299-seat theatre will be open a half-hour before show time. Phil Brown: Wider Backcountry Ski Trails? At a recent public hearing in Keene, more than a dozen people spoke in favor of keeping the fire tower on Hurricane Mountain. Several others spoke in favor of keeping the lean-to along Gulf Brook. And one person spoke in favor of improving trails for backcountry skiing. That would be Ron Konowitz. Konowitz, a Keene schoolteacher, has long been one of the region’s most passionate and adventurous backcountry skiers. He is the only person to have skied all forty-six of the High Peaks. In a typical year, he skis more than 150 days. Whenever I ski with Ron, he fills my ear with complaints about how backcountry skiers are getting a raw deal in the Adirondacks. I heard them again one afternoon last weekend when we skied the first five miles of the Mount Marcy trail from Adirondak Loj. Since I’m a backcountry skier, you might say I’m biased, but I think he has a point. 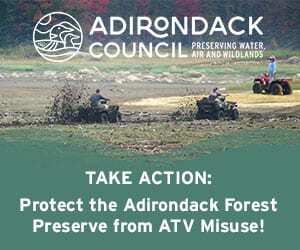 One problem is that the Adirondack Park State Land Master Plan—the document that guides management of the Forest Preserve—fails to recognize Ron’s sport. This is not surprising, because few people pursued this sport back in the early 1970s, when the plan was written. I’m referring to down-mountain backcountry skiing—climbing and descending a peak, slide path, or steep glade. The State Land Master Plan does recognize ski touring, or cross-country skiing, but this isn’t the same thing. The plan requires that cross-country trails must have “the same dimensions and character” as foot trails. Generally, skiers are sharing hiking trails, but in any case, a ski or foot trail is supposed to be only six feet wide. That’s okay if you’re skiing over gently rolling terrain, but for safety’s sake you need more room to make turns and control your speed when descending steep slopes. That’s just common sense. Down-mountain skiing in the backcountry has grown greatly in popularity over the past twenty years, thanks to improvements in backcountry equipment: wider, shaped skis, plastic boots, and beefier bindings. 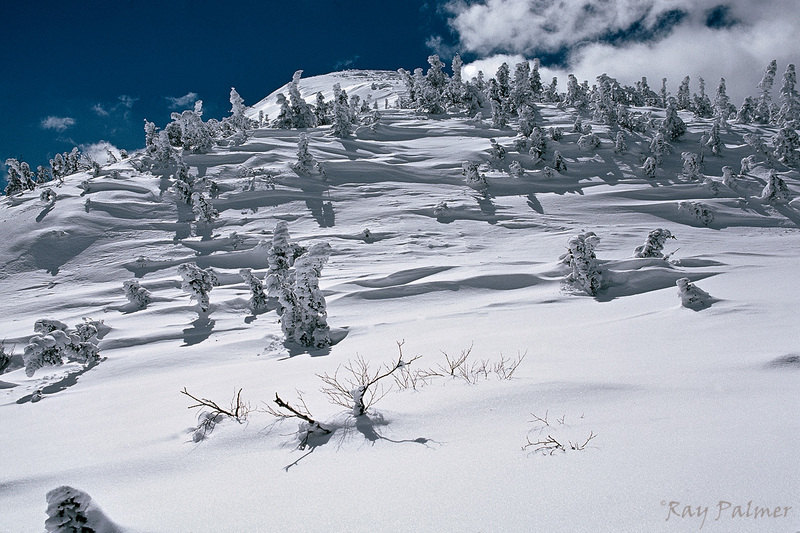 At the same time, snowshoeing also has grown in popularity. So we now have more skiers and more winter hikers sharing the same narrow trails. 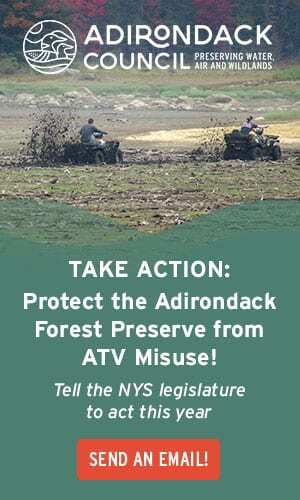 One solution would be to widen, only where necessary, those trails commonly used by down-mountain skiers. This is not a new idea: a 1952 state brochure titled “Lake Placid Trails” notes that “in 1936 the original Van Hoevenberg Trail was conditioned for skiing.” This was in the era before lift-service resorts lured skiers out of the woods. Over the decades, the trail has been allowed to grow back in to its current dimensions. As Ron and I ascended the Van Hoevenberg Trail along Phelps Brook the other day, he pointed out the older trees off to the sides that once marked the boundaries of the trail. Clearly, the older trail was several feet wider. What’s more, Ron said this section of trail was once reserved for skiing. Since the 1970s, it has been used by hikers as well and has been eroded as a result of heavy foot traffic in summer. A similar thing happened to the old Wright Peak Ski Trail. Hikers once used a different trail, but when that trail became eroded, DEC closed it and moved hikers to the lower section of the ski trail. Since then, this part of the ski trail has become eroded and grown in. Skiers now dodge rocks, trees, and snowshoers on the descent. 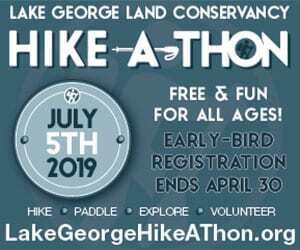 In an earlier post, I noted that Tony Goodwin of the Adirondack Ski Touring Council has proposed an easy fix for the Wright situation: reopening the old hiking trail as a ski trail, deploying volunteer labor. It shouldn’t cost the state a dime, but DEC isn’t interested. Nor does DEC seem inclined to widen trails to accommodate down-mountain skiers. In contrast, DEC spent a great deal of time and money on writing new guidelines for snowmobile trails in response to complaints from the snowmobiling community. 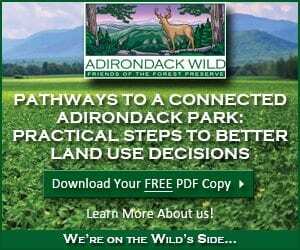 The guidelines were approved by the Adirondack Park Agency last year. Like ski trails, snowmobile trails are required by the State Land Master Plan to retain the character of a foot trail. Yet DEC’s new guidelines allow snowmobile trails to be up to twelve feet wide in places. Proponents say the snowmobile guidelines are needed for safety. They note that snowmobiling has changed: today’s snow sleds are bigger and faster than those of yesteryear. Well, backcountry skiing has changed, too. We need to talk about that. Photo by Phil Brown: Ron Konowitz at Indian Falls. Video taken along Phelps Brook.